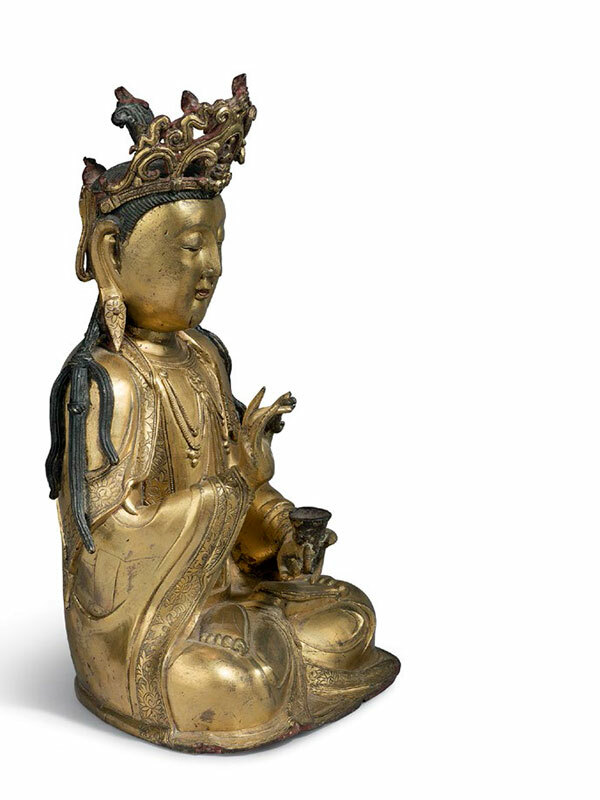 A substantial giltbronze figure of bodhisattva Guanyin, seated in the padmasana lotus position. The deity is dressed in a long robe, which is tied in a knot around the waist, with graceful folds draped around the folded knees. The right arm is half-raised and the right hand expresses the karana mudra, whilst her left arm is held in front of her waist and holds an alms bowl in the palm. An elaborate necklace with swags and pendants encircles her neck. Her hair is neatly tied into a high chignon. 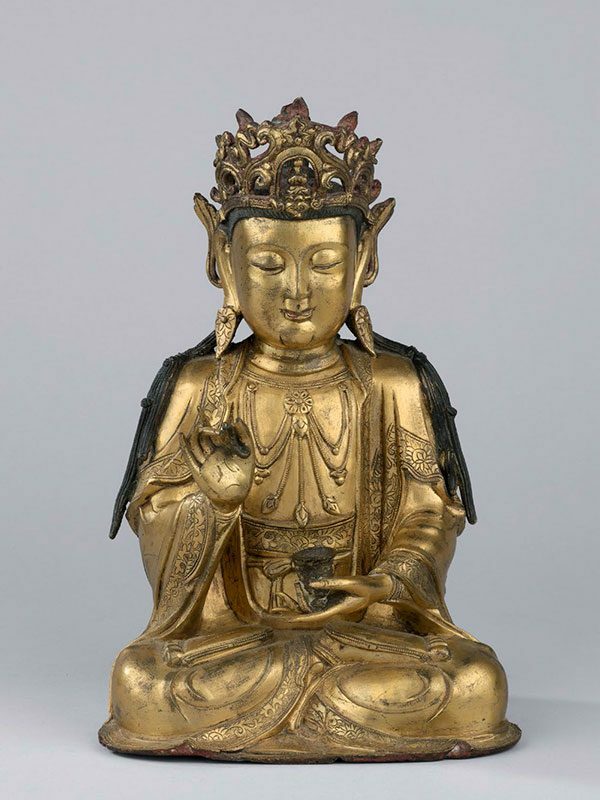 A tall, pointed and openwork crown containing an image of Amitabha in the middle crowns the head, which has neatly coiffed hair, leaving two long strands on top of the shoulders. The elegant face has a serene, half smiling expression and is flanked by elongated earlobes, adorned with ear pendants. The edges of the costume and the adornments are incised with a minutely detailed lotus motif. The figure is covered in a thick layer of well-preserved gilding, leaving only the hair uncovered and showing the dark bronze colour. The back of the crown is painted in red.